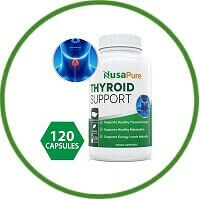 NusaPure Thyroid Support is a unique, all-natural combination of vitamins, herbs, and amino acids specially formulated to help maintain healthy thyroid activity. Your thyroid controls how quickly your body uses energy, and controls how sensitive your body is to other hormones. It does this by producing thyroid hormones, the principal ones being T3 and T4 hormones. The T3 and T4 hormones help regulate your Metabolism, and affect nearly every cell in your body! Now, boost your metabolism and support happy and healthy thyroid function. 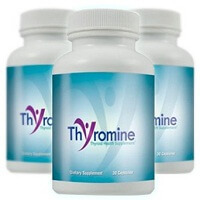 Order Thyroid Support Supplement today!